ACES PTO’S 3RD ANNUAL PARENT PROM IS COMING. 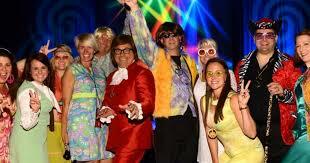 THIS YEAR THE PROM WILL BE HELD AT KENNEDY POINTE AND IS GOING TO BE A GROOVY TIME! TICKETS ON SALE NOW $15 A PERSON. TICKETS WILL BE $20 AT THE DOOR. DON’T FORGET TO RESERVE THAT TABLE FOR YOU AND YOUR FRIENDS!